In the world of early childhood education, the month of April holds a special place. April is known as “The Month of the Young Child” in some states (other states may instead celebrate “The Week of The Young Child”). Either way, we early childhood educators hold this celebration near and dear. 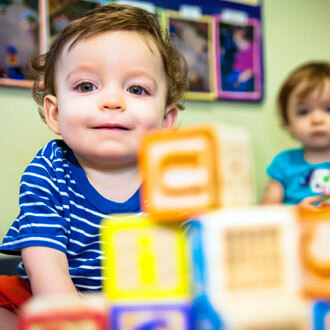 The National Association for the Education of Young Children has chosen the theme “Early Years Are Learning Years®” for 2013. We will be celebrating your children and the gifts they are to the future of our world during the month of April. We invite you to join in the celebration by giving your child extra hugs and reminding her or him of your unconditional love. You could also take some time this month to get to know the other children in your child’s classroom. Perhaps offer to come in and read your child’s favorite storybook or sing a song with the class. Unofficially, the Month of the Young Child has also been a time to recognize and celebrate the professionals who care for our young children. Consider taking a moment this month to say “thank you” to your child’s teachers and your center staff for all of their hard work. They each do their very best to provide a safe, nurturing, and stimulating environment in which your children spend their days. One of the things that you and your child’s teacher have in common is that you both end each day exhausted (and, hopefully, fulfilled), having put your heart and soul into your labors. One of the best ways to build better futures for all children is to get to know the staff, families and children in your child’s daily life today. Help children see themselves as part of something bigger, and as a member of a thriving, supportive community. When you help children know this, you are giving them the foundation they each need to create a future society of respect, kindness and connectedness. April is also the Month of the Military Child! This is a special time to recognize and applaud our nation’s military children for their strength, character and courage and for the sacrifices they make daily. There are 1.7 million American children and youth under 18 with a parent serving in the military, and about 900,000 with one or both parents deployed multiple times. We can all help celebrate this month by recognizing those in our own communities – reaching out to a new military family in our neighborhood or by connecting with one of the organizations dedicated to supporting America’s service members and their families, such as Operation Military Kids. 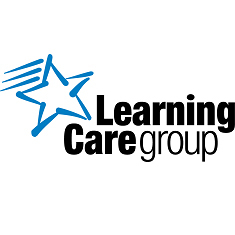 As a thank-you to our troops, Learning Care Group offers all active military members a 10% discount on tuition. Please visit mylearningcaregroup.com/military for additional information.